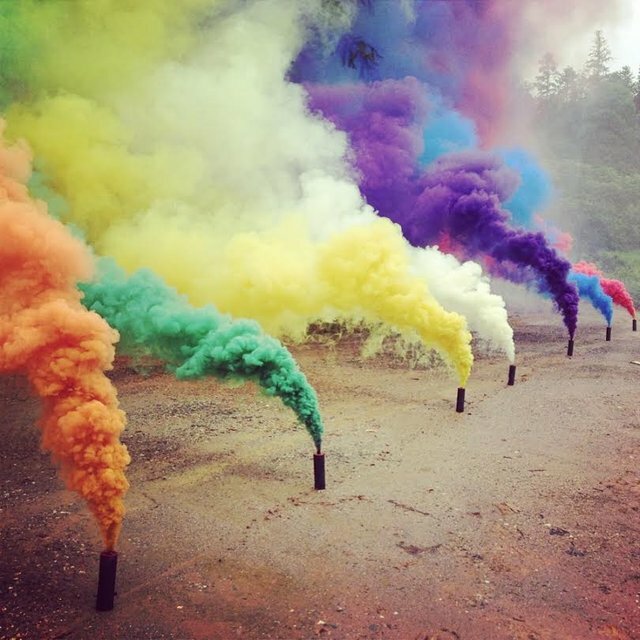 These Color Smoke Grenades from Enola Gaye offer the ultimate protection during paintball and airsoft game scenarios. Get some additional extra cover when the terrain doesn't offer it or your competition has the upper-hand. The Enola Gaye Wire Pull Smoke Grenades are available in 7 colors including Red, Orange, Yellow, Green, Blue, Purple and White. The smoke bombs were developed with a military grade ignition system, and are the most advanced product available on the market today. Each smoke bomb package includes a single colored smoke grenade measuring 5.1 inches by 1.5 inches by 1.5 inches with a weight of 4.2 ounces. The colorful smoke gives you approximately 90 seconds of dense cover. Very simple yet very effective! Don't go to battle without the Enola Gaye colored smoke bombs.